In Dead Man's Time, Roy Grace finds himself up against that most dangerous of all adversaries—a man with fury in his heart who has nothing to loseNew York, 1922. Five-year-old Gavin Daly and his seven-year-old sister, Aileen, are boarding the SS Mauretania to Dublin—and safety. Their mother has been shot and their Irish mobster father abducted. Suddenly, a messenger hands Gavin a piece of paper on which are written four names and eleven numbers, a cryptic message that will haunt him all his life, and his father's pocket watch. As the ship sails, Gavin watches Manhattan fade into the dusk and makes a promise, that one day he will return and find his father. Brighton, 2012. Detective Superintendent Roy Grace investigates a savage burglary in Brighton, in which an old lady is murdered and £10m of antiques have been taken, including a rare vintage watch. To Grace’s surprise, the antiques are unimportant to her family—it is the watch they want back. As his investigation probes deeper, he realizes he has kicked over a hornets nest of new and ancient hatreds. At its heart is one man, Gavin Daly, the dead woman’s ninety-five-year-old brother. 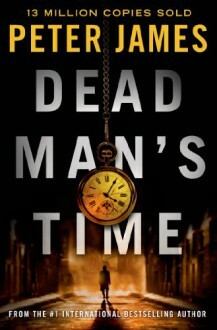 He has a score to settle and a promise to keep—both of which lead to a murderous trail linking the antiques world of Brighton, the crime fraternity of Spain’s Marbella, and New York.Roy Grace, in a race against the clock to stop another killing, has met his most dangerous adversary yet.